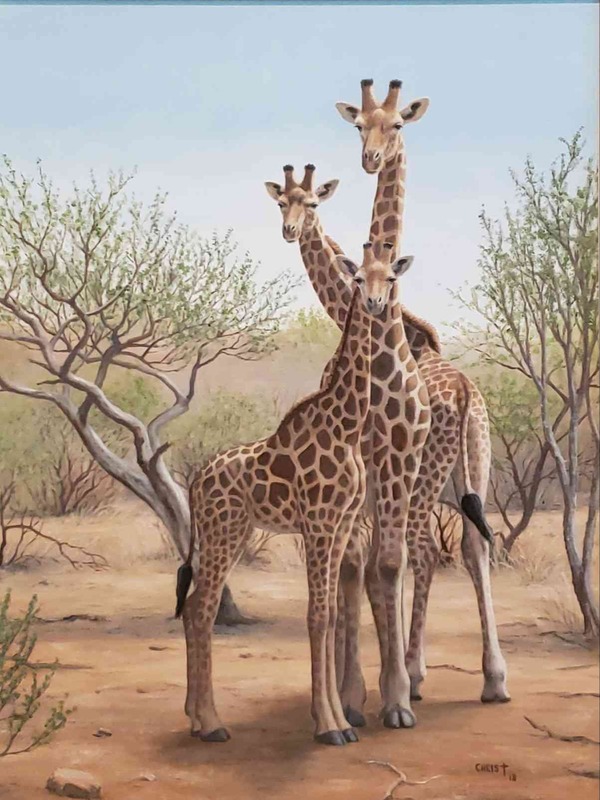 The realistic wildlife art by Pennsylvania artist Dan Christ results from his forty plus years of experience observing and painting wildlife, specializing in deer and turkey art and uniquely combining them into train art featuring steam locomotives. Dan's wildlife art also portrays the wildlife of his experiences in the Rocky Mountains, Alaska and Africa. 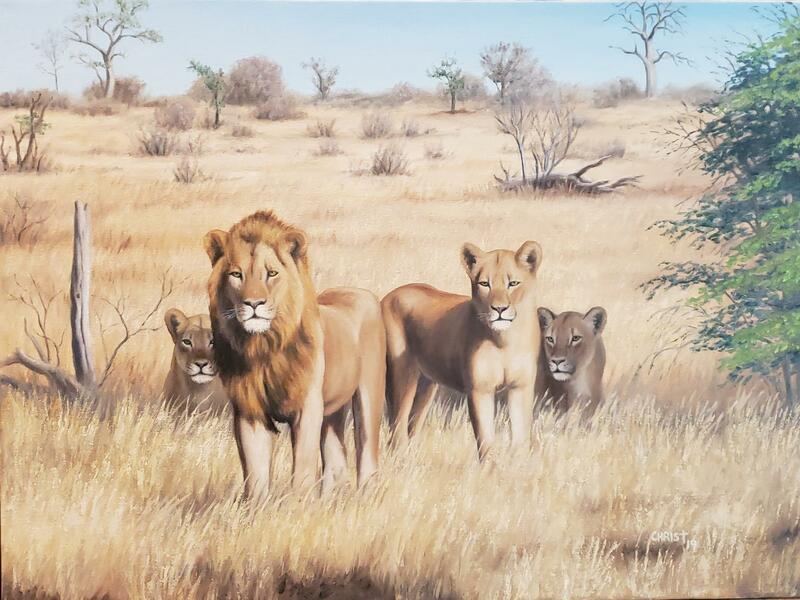 Click here, to view Dan's original wildlife art oil paintings that are NOT in print. © 2018 Dan Christ Gallery. All rights reserved. A recent trip to South Africa provided many close encounter experiences with a variety of species of wildlife. Freqently these encounters resulted in defensive positions being taken as we stopped to photograph. Thus the inspiration for this 'Security" series.